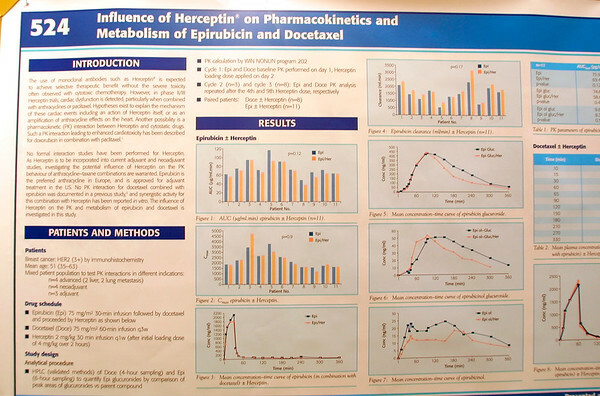 San Antonio, TX - SABCS 2001- Poster #524 Pharmacokinetics of Epirubicin and Docataxel in combination at the San Antonio Breast Cancer Symposium here that explores research into Breast Cancer. The symposium is sponsored by the San Antonio Cancer Institute. © Photo by Todd Buchanan/2001 for the Medical Journal.